REKT is a slang term and means utterly destroyed. REKT is a misspelling of the word wrecked. It was originally created in gamer milieus to express a massive loss. In crypto REKT is used to describe a situation where you have bought a cryptocurrency which crashed afterwards. You could e.g. say that someone who bought into Bitcoin at a price of 20’000 USD got REKT, considering the current price of 4’500 USD. 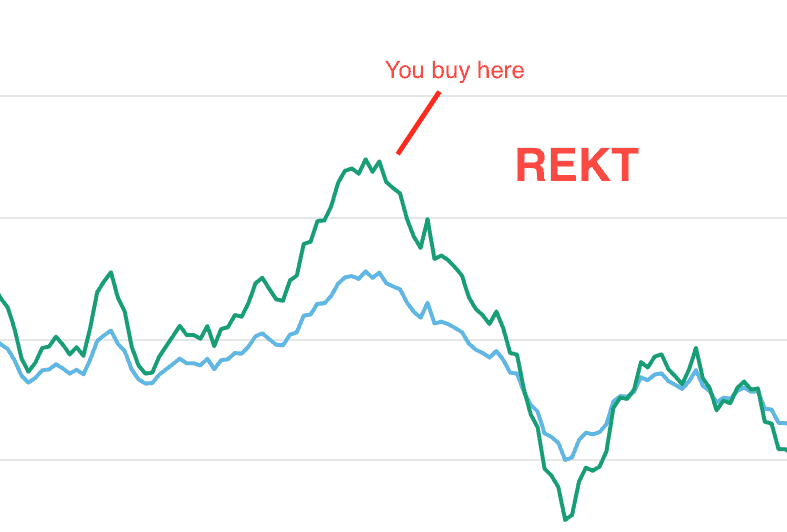 See a visualization of a REKT situation in the graphic down below.